In 1863 Samuel Bourne (1834-1912) arrived in India. He had left his job as a Nottingham bank clerk in order to develop a new career as a photographer. 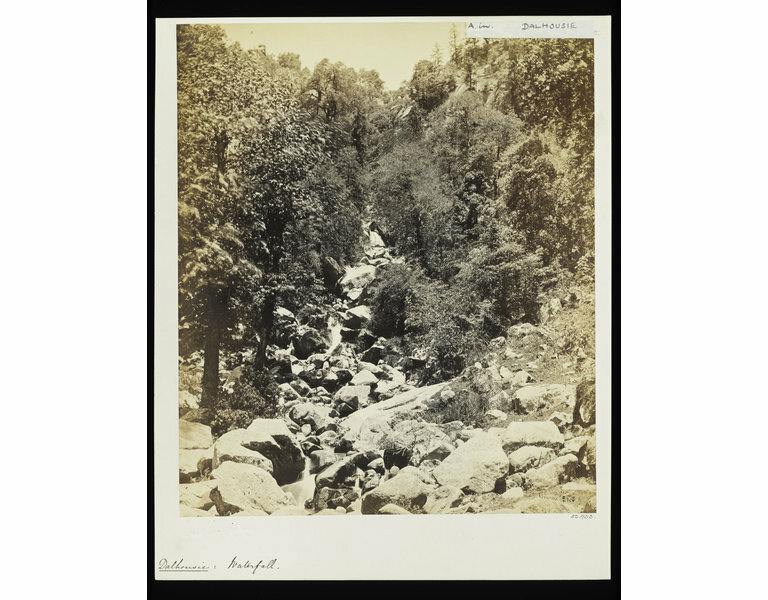 Bourne undertook three treks to Kashmir and the western Himalayas in 1863, 1864 and 1866, during which he photographed his surroundings extensively. He began his second trip, during which this photograph was taken, in March 1864. It was to be a nine-month expedition through the Kashmir region. Towards the end of the 1860s, Bourne established a partnership with fellow photographer and Englishman Charles Shepherd (fl. 1858-1878) and in the space of a few years Bourne & Shepherd became the pre-eminent photographic firm in India. By the end of 1870 they had three branches, in Simla, Calcutta and Bombay. 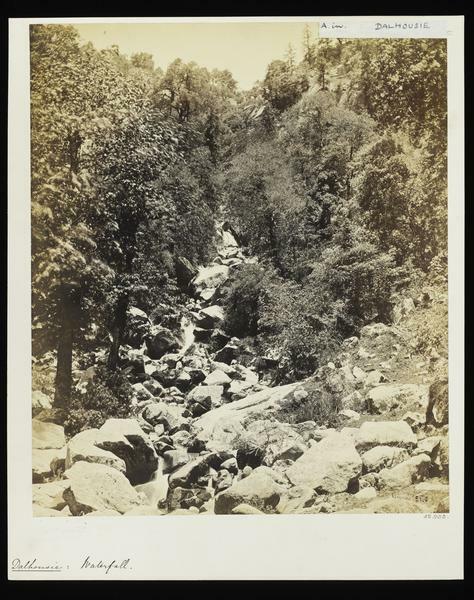 Photograph showing a river running through down a hillside with rocks and vegetation on either side of the water. Signature and negative number in bottom right corner. 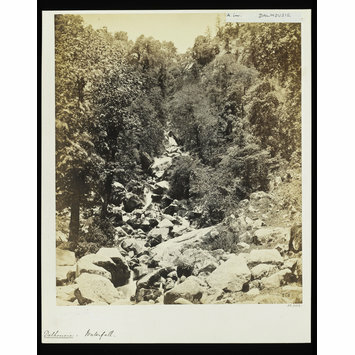 This photograph was initially part of the photographic collection held in the National Art Library. The markings on the mount are an indication of the history of the object, its movement through the museum and the way it is categorised. The mount is white. Bottom Left: Label from Bourne catalogue with some handwritten text. The negative was made in 1864. This print was made before March 1867.